A comprehensive mental health needs evaluation to determine psychiatric diagnosis, evaluation of medication needs, assessment of substance abuse, level of care determination, case management assessment, and a referral for appropriate follow-up care. 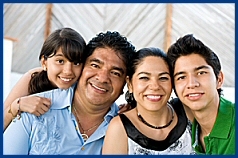 Consumer-centered services that provide individual, family, couples and group counseling. These services may address a myriad of subjects including substance abuse, domestic violence, relationship issues, parenting classes and symptom stabilization. This program entails providing services for children and adolescents with psychological, emotional, behavioral, and neurobiological or substance abuse problems in the home, community, and/or school when such problems are of such severity that highly supportive and structured therapeutic behavior interventions are required. Behavior Management Skills Development services are delivered to consumers up to age 21 who are in need of interventions to avoid inpatient hospitalization, residential treatment or separation from his/her family; or, who require continued intensive or supportive services following hospitalization or out-of-home placement as a transition to maintain the consumer in the least restrictive environment possible. This program utilizes a time-limited, multi-faceted approach to treatment service for adolescents, ages 13-17, who require structure and support to achieve and sustain recovery. This service utilizes a research-based model and targets specific behaviors with individualized behavioral interventions. This program utilizes a time-limited, multi-faceted approach to treatment service for adults, 18 years and over, who require structure and support to achieve and sustain recovery. This service utilizes a research-based model and targets specific behaviors with individualized behavioral interventions.